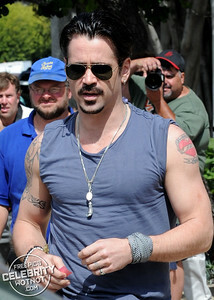 Colin Farrell shows off his guns in a tight top as he enjoys a memorial day party. 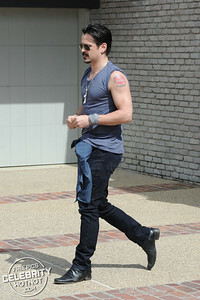 The actor wore a sleeveless t-shirt as he headed to his car with his rumored girlfriend. 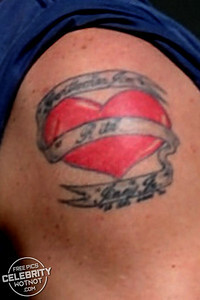 Farrell displayed his heart tattoo, which pays tribute to his mother 'Rita' on his arm. 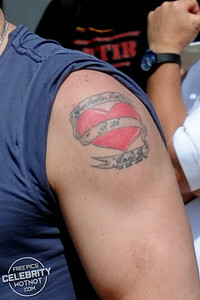 Farrell was seen leaving the memorial day party in Malibu in his escalade and spent a few hour in the sun chatting with other actors and guests at the exclusive party. Pictures dated 27th May 2013.